This months featured dancer is Elliana Walmsley. Elliana is 8 years old and she loves to dance. We hope you enjoy our interview with her. Elliana: I was 18 months old when I started dancing. My first class was ballet. 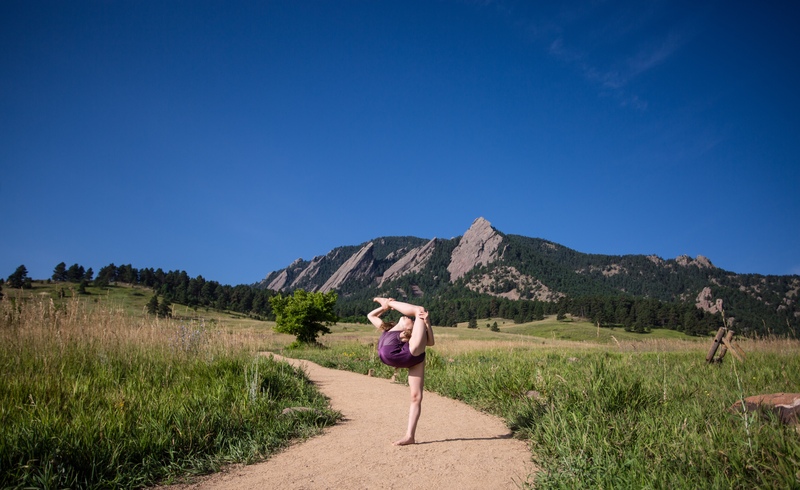 Elliana: I currently dance at The Dance Movement of Colorado. 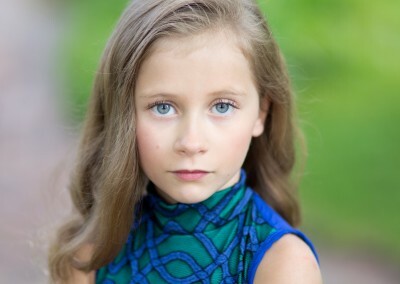 Elliana: My favorite dance style is musical theatre. I haven’t seen a show on Broadway (yet), but I LOVE how much personality is used in musical theatre. It requires a lot of energy and BIG facial expressions which I love doing when I am dancing. DA: Who has been the most inspirational teacher that you have had? Why? Elliana: That would be Miss Kelly Smith. She taught me that no matter how many risks it takes and how much work it will be, I can always achieve my dreams. Just this month she opened her own studio and showed me that she was able to achieve her dream. Miss Kelly always holds me accountable for skills she knows I can do. She always challenges me to do my very best. She has made my solos very difficult which has helped me be a better dancer. Elliana: In order to continue dancing, I have had to make a lot of sacrifices. I don’t go to many birthday parties or have many play-dates. I spend a lot of time in the car doing homework, changing and eating. I love what I do and I know I have to give up other things in order to do it. Family time becomes more special to me and I love spending every free moment with my family. Elliana: The best piece of advice I have been given in my career is from my mom. No matter how difficult something becomes or how stressful it might get, she always reminds to HAVE FUN! Dance is a gift and it makes people happy when they are doing it or watching it. Keeping dance happy and fun will make me always want to do it for the rest of my life! 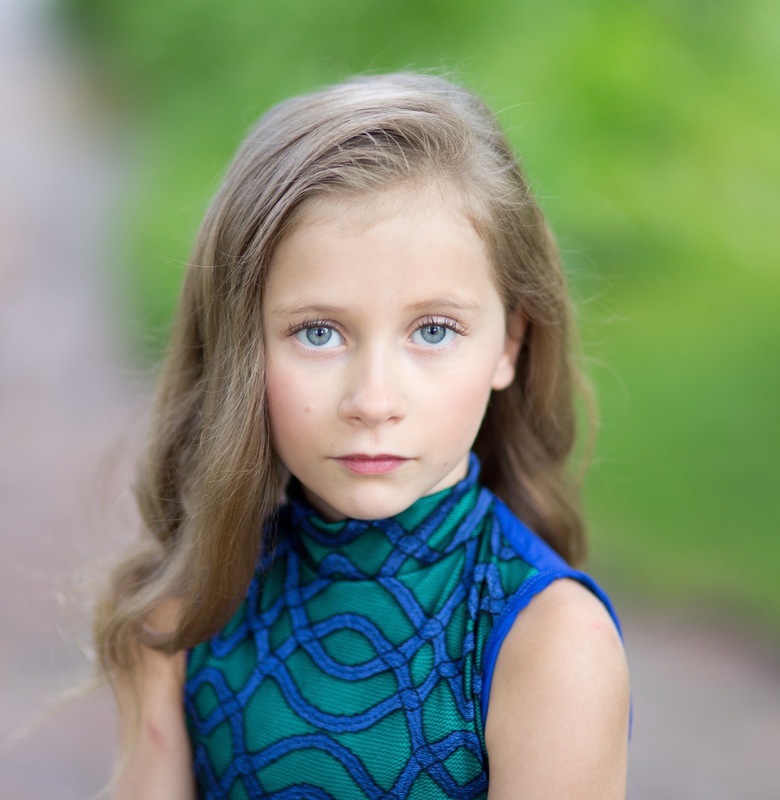 Elliana: My dream is to move to New York City, live in a castle and be a principal ballerina at The American Ballet Theatre dancing alongside Misty Copeland. DA: And now a special note from Elliana’s mom. Yolanda: Those are Elliana’s responses. If I had anything to add, I would say how much I look up to her. Crazy that I learn so many wonderful things from my eight year old every day. She is incredibly tenacious and never gives up. So many have told her that she is too young to do something and she just fights that much harder to show them she can. She will work at something drilling it over and over again until she feels confident enough in her abilities…often this comes after she has danced, rehearsed, and cheered for hours….she will ask to go down to her little studio in the basement and “work out.” In addition, I am extremely proud of how humble and kind she is. She had an extremely successful year last year in dance and cheer winning scholarships, first overall finishes at regionals and Nationals and regional and National titles. However, she never lost sight of the feelings of others. She would often take off the crowns and put the trophies in the car quickly so that she could go and cheer her other friends on. Her teachers at school and classmates never knew of her accomplishments as Elliana didn’t want to brag and draw attention to herself at the sake of others. I have to admit, that is my favorite part about her that she keeps her kindness. DA: We hope you enjoyed Elliana’s (and her mom’s) interview. If you are interested in becoming a featured dancer please feel free to contact us and let us know! Elliana Walmsley – Needle in the mountains. hi it is Ava w from mesa rumor has spread that you are on DANCE MOMS! is this true?